Selling Your Alarm Company? Keep It Up To Date! Planning to Sell Your Alarm Company? Keep Your Alarm Business Up to Date! After much careful consideration and contemplation, you’ve decided to sell your alarm company. Whether you’re planning to retire from the industry completely or just sell some of your alarm accounts, you’ve come to the conclusion that now is the time to make a change. Whether you plan to sell your alarm business tomorrow or months or years down the road, there are a number of steps you should follow to prepare your alarm company for sale. Perhaps one of the most important things you should do to position yourself and your company for a successful sale is keep your company up to date. Why Is Keeping My Company Up To Date Important If I’m Planning to Sell? Some people think that because they’ve decided to move forward with selling their alarm business, it’s no longer necessary to continue updating the organization. However, the opposite is actually the case. Once you’ve determined it’s time to put your alarm company on the market, you should continue working hard to keep your company up to date. Maintaining current financial records, company contacts and up-to-date equipment is imperative for managing a business successfully. It is important that you continue to do these things even after putting your company up for sale as you want to maintain a healthy business as well as your reputation. You want to make sure your company is in great shape and in prime position when buyers begin taking interest. Additionally, while some companies sell quickly, others don’t sell right away. You want to be sure that you can continue to effectively operate your alarm business while you wait for the right buyer to come along, and keeping your company up to date is the best way to ensure that you can do so. Typically, buyers are shopping for well maintained companies that are positioned to be successful. While adjustments and alterations will likely be made as the result of a merger or acquisition, generally the companies that appeal most to buyers are those that are up to date. Keeping your company current is also important because it will help you to keep your finger on the pulse of the organization and enable you to address any issues or weaknesses that may undermine the value of your company in the eyes of potential purchasers. You’ve worked hard for years to build and maintain a successful business and establish your reputation. Though you’ve decided it’s time to pass the reins of your organization or some of your accounts to someone new, it’s not time to let your alarm company become outdated. You want potential buyers to view you as a reliable, legitimate seller. Continuing your work to maintain client relationships, your reputation and your business’ success will help to establish you as a reliable, trustworthy seller – and help to draw more qualified buyers to your organization. Ready to Sell Your Alarm Company? Contact AFS Today to Get Started. 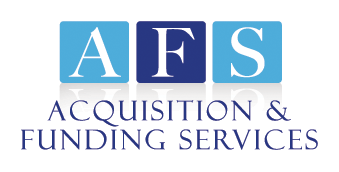 If you’re ready to put your alarm company up for sale and are interested in having access to well-qualified buyers, contact Rory Russell at Acquisition and Funding Services. Rory is a trusted alarm company broker who specializes in mergers, acquisitions and financing in the security alarm, fire and integration industry. With nearly 20 years of experience facilitating multi-million dollar transactions, Rory can help you to ensure that your alarm company is positioned and prepared to sell. He will share valuable industry insight, helping you to make an informed decision as you move forward with the sale of your alarm business. Contact Rory Russell at AFS for a free, no obligation alarm business valuation, or give him a call today at (800) 354-3863 (personal cell) to find out how you can maximize your profits from the sale of your alarm company.